“At the end of November 2018, authors Felwine Sarr and Bénédicte Savoy announced completion of a legthy report, “The Restitution of African Cultural Heritage. Toward a New Relational Ethics,”[i] to President Emmanuel Macron of France. The report was delivered one year after Macron’s controversial announcement in a speech at the University of Ouagadougou in Burkina Faso that the return of African heritage would be a top priority for France over the next five years. Initial responses to Macron’s speech from French and other Western experts stated concerns over too unilateral and precipitate a reorganization of museum priorities, but most spoke cautiously in support of selective return of important art and historical artifacts to African nations, focusing especially on art and treasure taken in military conquest. Dr. Rachel King of University College London, speaking to the NY Times after Macron’s Ouagadougou speech, was one of many Western specialists who noted the greater need for Western museums to first assist in building both physical capacity and technical and curatorial expertise in African cultural institutions, especially given the fact that France’s chief ethnological museum, the Musee du Quai Branly, possessed over 70,000 African objects. Others, like archaeologist Andrew Reid, also of University College London, saw Macron’s speech as chiefly politically motivated, a form of soft diplomacy. 2008 exhibit at the Musée du quai Branly, Paris, France, author Andreas Praefcke from Wikimedia Commons. In France, the first reactions to Macron’s 2017 pledge from the public museums had been contained consternation, and from administrators and legal experts, concerns about restituting objects which are legally defined as inalienable from their institutions. There was acknowledgement among the arts community that some returns were ethically necessary, but this was combined with serious concerns that museum goals and purposes would be disregarded as restitution of art became entangled with politics. Others worried that the short-term goal of repatriating objects to Africa could upend the entire museum system by setting new and temporary priorities over the museums’ preservational and academic roles – and end up satisfying no one. Editor Simon Njami of Paris-based Revue Noire told Annalisa Quinn of the NY Times that Macron’s proposal was a “foolish promise.” He drew attention to the volume of historical material in French museums, and noted that in the case of older art, it could be impossible to determine the place of return, as Africa’s national borders had been redrawn by Western powers during Berlin Conference of 1884-85 for political reasons, not based upon traditional centers of power. He suggested watching over the coming years how museums like the Quai Branly actually made loans or returned objects, or assisted African museum development, and suggested that not much would change. 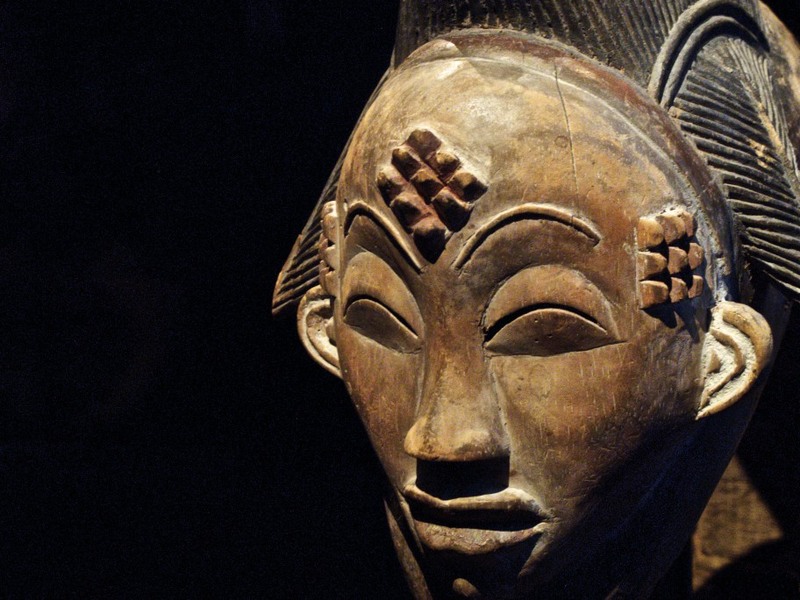 In March 2018, Macron announced at a meeting with President Patrice Talon of Benin in Paris that he had commissioned Felwine Sarr, a Senegalese economist and Savoy, a French art historian, to set forth a plan for the repatriation of African art and artifacts held in French public museums. President Macron has not yet publicly embraced the call for massive restitutions set forth in the report. Rather, the President’s office has focused on announcing the return of 26 specific objects taken from Benin by French military in 1892. He has called for broader African access to objects through a multiplicity of actions such as exhibitions and loans as well as through restitutions.